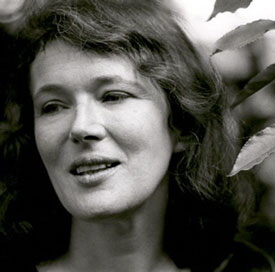 The first Angela Carter fiction I read was her collection Saints and Sinners. I was immediately entranced by the dense, layered symbols embedded like diamonds in her stories, and the baroque prose with which she cloaked her tales. She became an obsession–I devoured everything she wrote, from The Passion of New Eve to The Infernal Desire Machines of Doctor Hoffman. Her work drew from a host of sources, from surrealism to B-movies to fairytales to Jungian psychology. Her work also addressed a variety issues, from feminism to racism without ever being didactic. Her work was fantastic and intellectually robust. Angela Carter was one of the first authors to show me that fantasy fiction could as philosophically and social engaged as literary fiction. Her work used the tropes of fantastic and surrealistic fiction to examine challenge the mythological roots of our culture.